The current O’Keefe Rail Trail project has had a number of milestones over the past four years, none more prominent than the new trail bridges. The latest is the 9th new bridge that is now nearing completion, and will be the longest steel bridge on the trail. 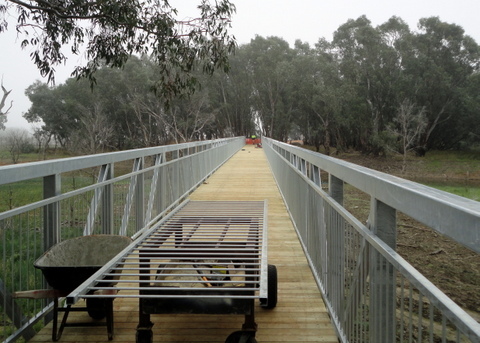 At 90 metres in length, this new bridge will help the trail extension to bridge another gap between Axedale and Heathcote townships. The Heathcote community and businesses are greatly anticipating this new trail, as an expected valuable tourism drawcard to the area.